﻿We are excited to provide you professional Eye Care services in a comfortable and friendly environment. Please call us at 718-623-9122 or click on the button below to schedule your appointment today! The doctors and staff at Dr.Parkin are committed to providing you and your family with a lifetime of quality vision care. We provide comprehensive vision and eye health services, medical eye care, a large selection of eyeglasses, contact lenses, and specialty fit contact lens. Our equipment is state of the art, and brings a high level of technology to our community. 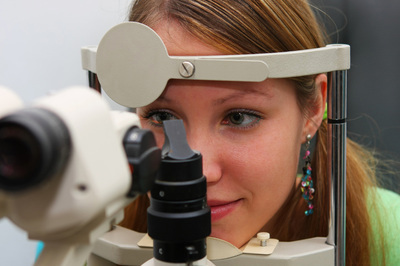 From our automated diagnostic tools, to our advanced eye imaging systems, we can offer the highest level of care. The office has an extensive line of designer frames from a variety of manufacturers. Frames include: Fred, Prada, Dolce & Gabbana, Versace, Swarovski, Cazal, Swissflex, and Kawasaki. Just to name a few.